The Tikky Graphic is Rotring’s budget drawing pen. 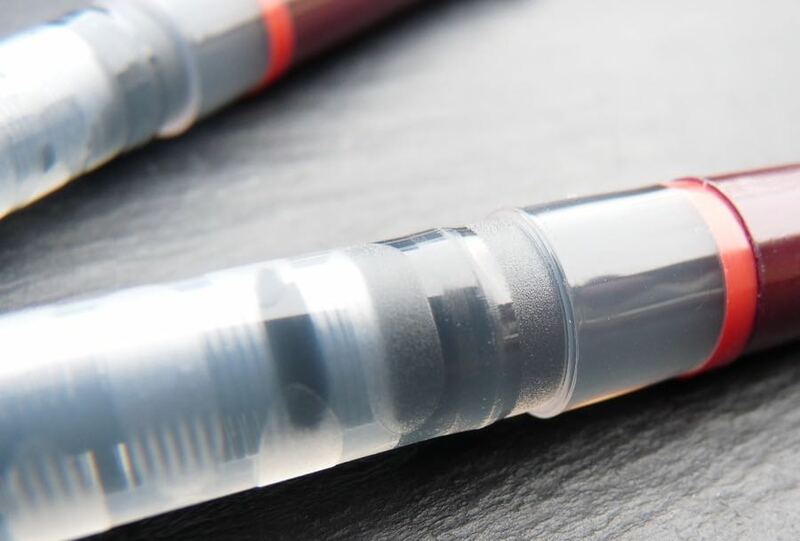 It comes in a range of tip sizes and has lightfast waterproof ink. The plastic tip is held in a metal sleeve at the end of a clear grip section. This section gives you an idea about when the ink is close to running out. The barrel is brown, which makes a change from black or grey, and is set off with the eponymous red ring. 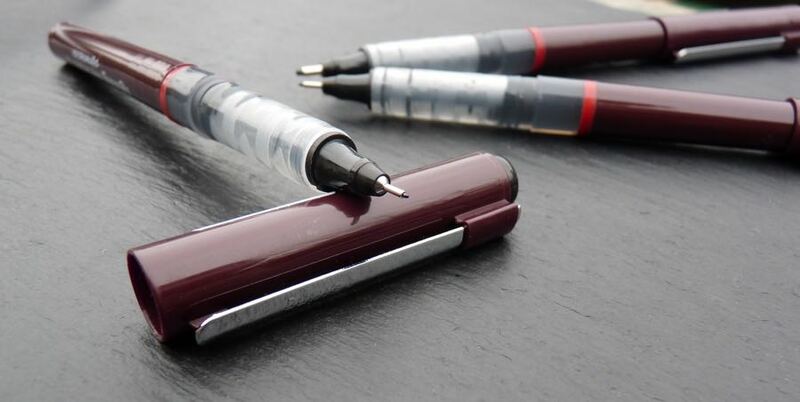 The pen is comfortable in the hand, posts well and has a reasonable metal clip. The Tikky Graphic is a wet pen. The 08, in particular, is quite gloopy. 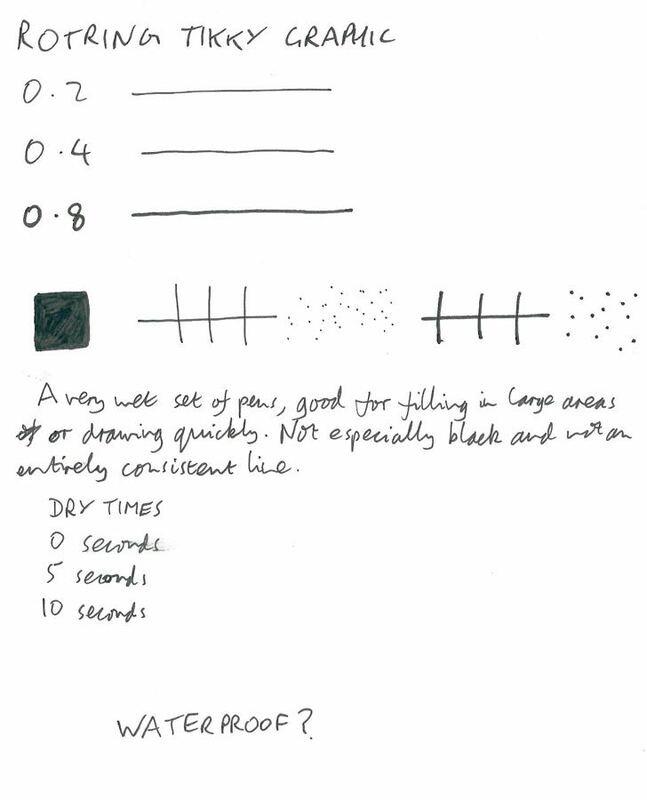 Whilst good for filling in large areas, the wetness leads to a certain lack of control with all the tip sizes and also means the ink is a little slower to dry than many drawing pens. It’s just about dry in 5 seconds (02 tip) but it does leave you a little vulnerable to smudging. Once dry, though, it’s completely waterproof. The amount of ink put down isn’t always consistent, meaning black areas can appear a little variable and lines can vary slightly in width. This isn’t a bad pen but I prefer a slightly drier line and the extra control this gives. I also want a more consistent line. 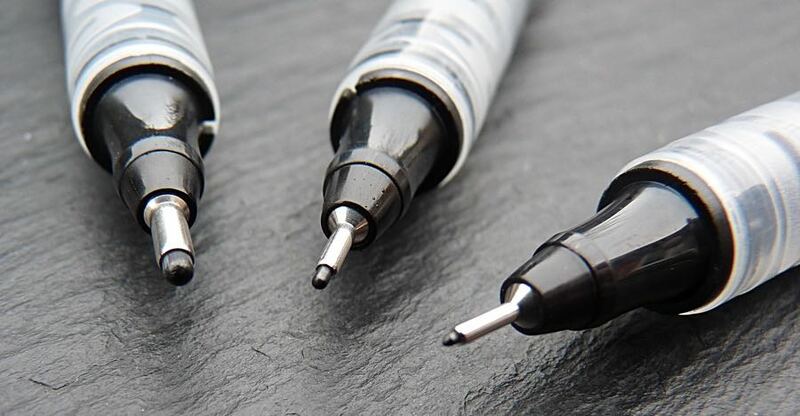 The Sakura Pigma Micron, Aristo GeoCollege and the Staedtler 308 are all better pens which cost a little less. The word ‘waterproof’ was soaked with water, with no ill effects. 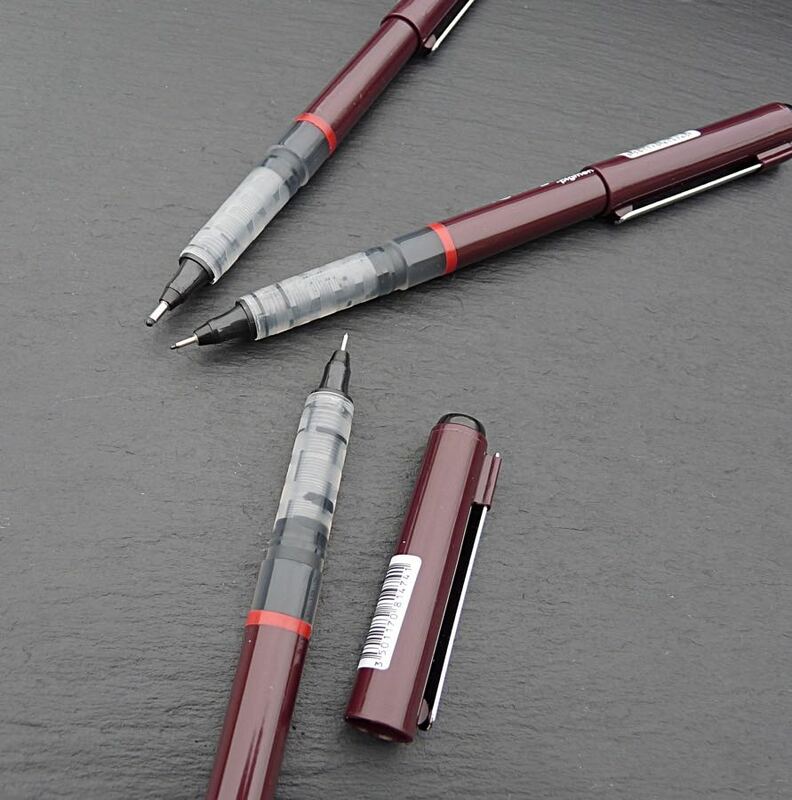 I always liked the look of these, because of their resemblance to Rotring’s technical drawing pens (I coveted a set of those (Isograph?) but they were very expensive). Oh I’ve got my eye on one of those! But as you say they are expensive and also high maintenance. Like my children.